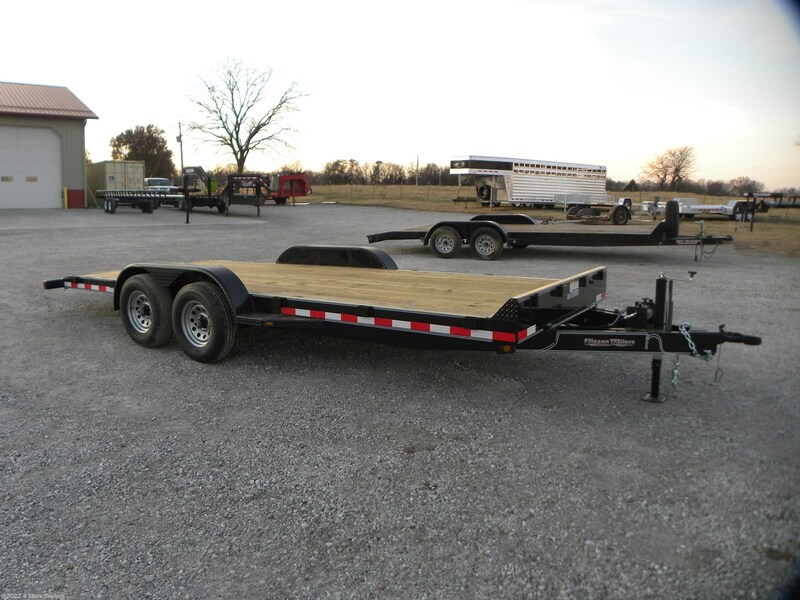 Click to visit 4 State Trailers website! Ease of use for most anything you want to haul! 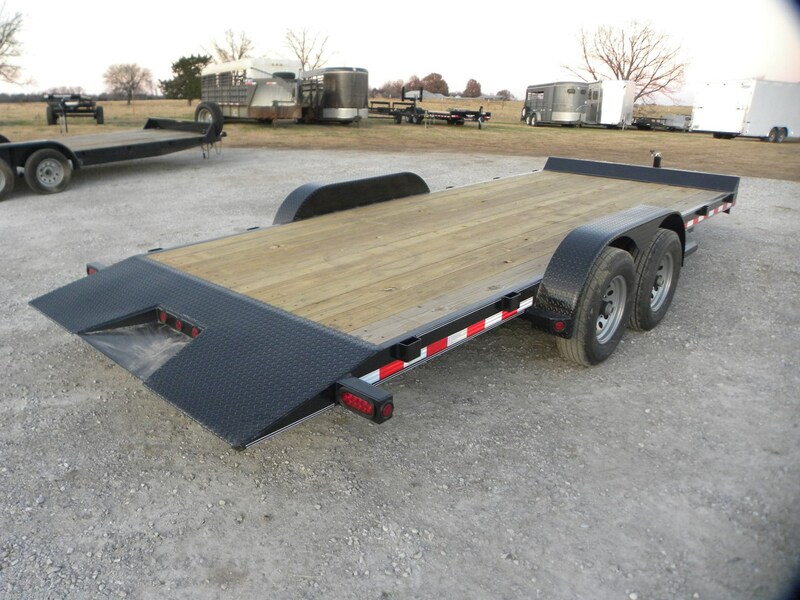 This is a NEW 2018 model 83x20 tilt bed Friesen equipment trailer. It features two 5,200 lb. 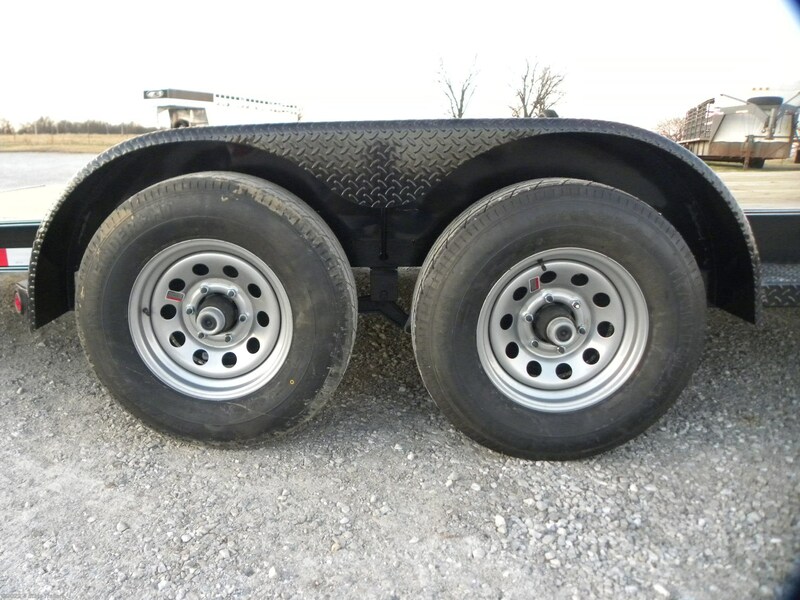 axles, electric brakes on both axles, 14 gauge teardrop tread plate fenders, stake pockets and rubrail offers many tie down options, heavy duty adjustable 25/16" coupler, 6" channel tongue, 6" channel frame, 3" channel crossmembers 22" on center, LED lights, and a treated wood floor. The tilt action is operated by a hand pump with 2 speeds. 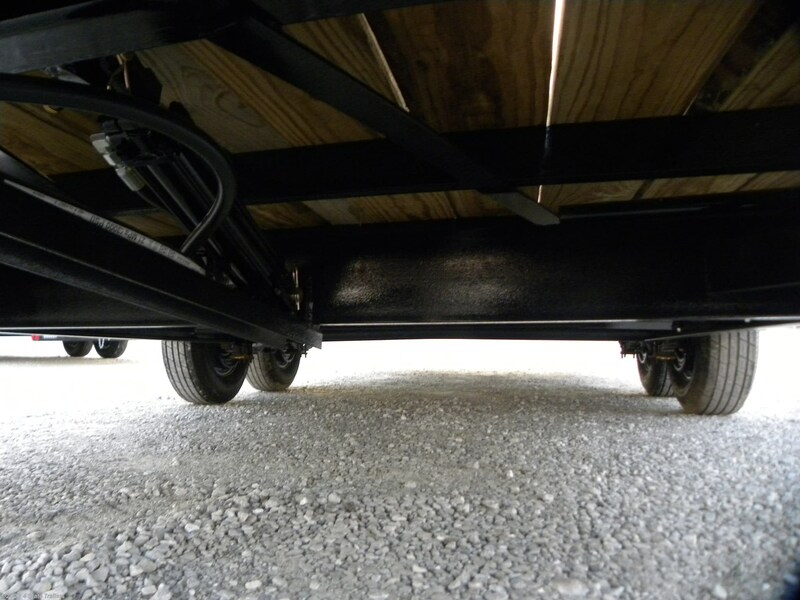 The entire trailer is fully sandblasted and powdercoated black. 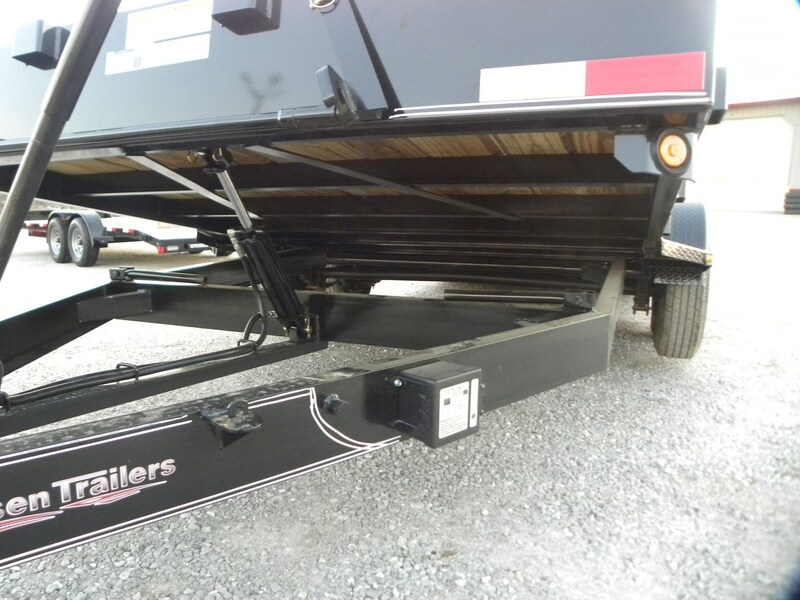 Friesen trailers are built to very high standards of quality and detail, and they come with a one year warranty. 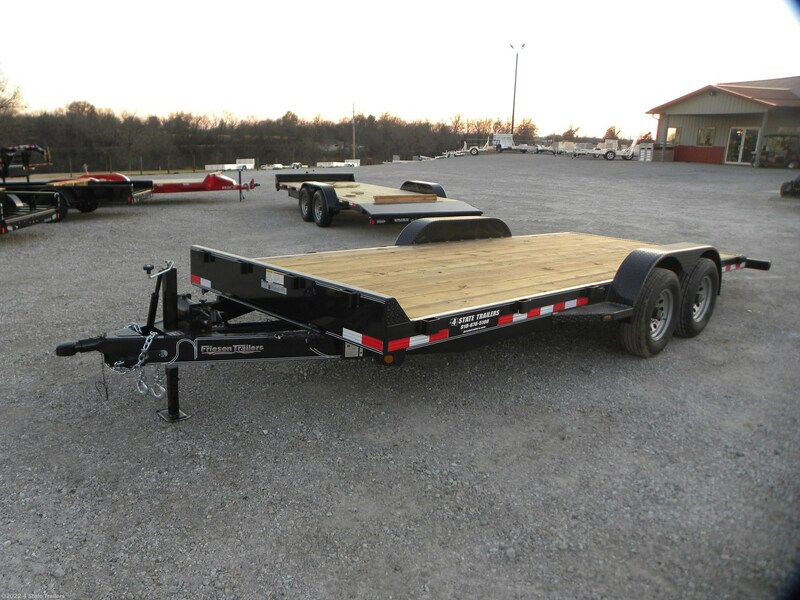 Stop by or call us today to get hooked up with this outstanding trailer!! 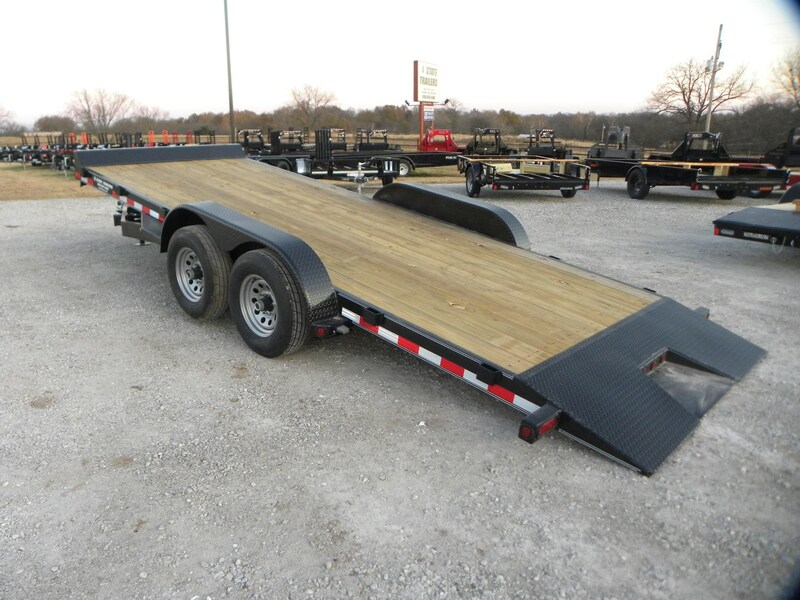 Car Hauler - 2019 Rice Trailers 82x20 10K Carhauler STEEL DECK! 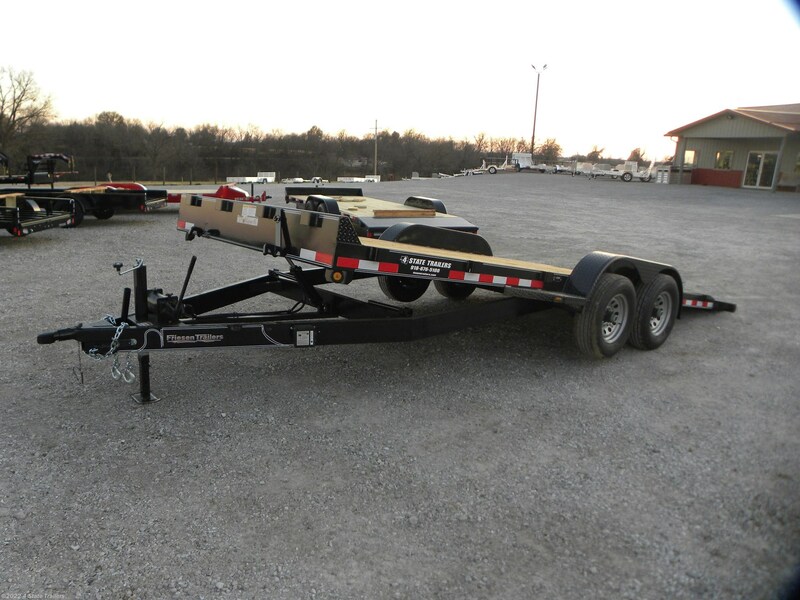 Car Hauler - 2019 Aluma 82"x18' CARHAULER TILT ANNIVERSARY EDITION! !